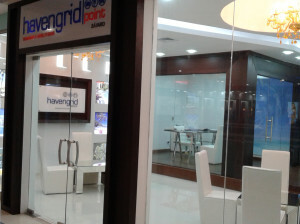 The Havengrid Group’s development plan foresees, in addition to new real estate projects, the expansion of its own sales and promotion network for its portfolio of products. 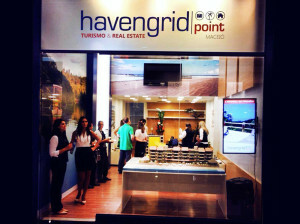 As such, February 2014 saw the inauguration of the first Havengrid Point, in the largest shopping center in Maceiò, capital of the Alagoas state in Brazil. 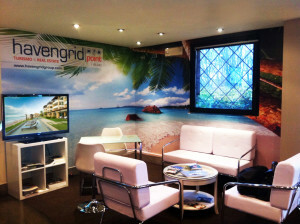 Through the carefully chosen experts of Havengrid Point, the Havengrid Group is able to offer a consulting service for potential investors, which includes the possibility of booking vacations at one of the promoted complexes. Other agencies are being opened in countries and locations deemed strategically advantageous for the promotion of the company’s products, both in Europe and Latin America. These will join their existing offices in Miami, Milan and the Dominican Republic.